21) There was a part of me that wanted to be an astronaut when I was a boy. 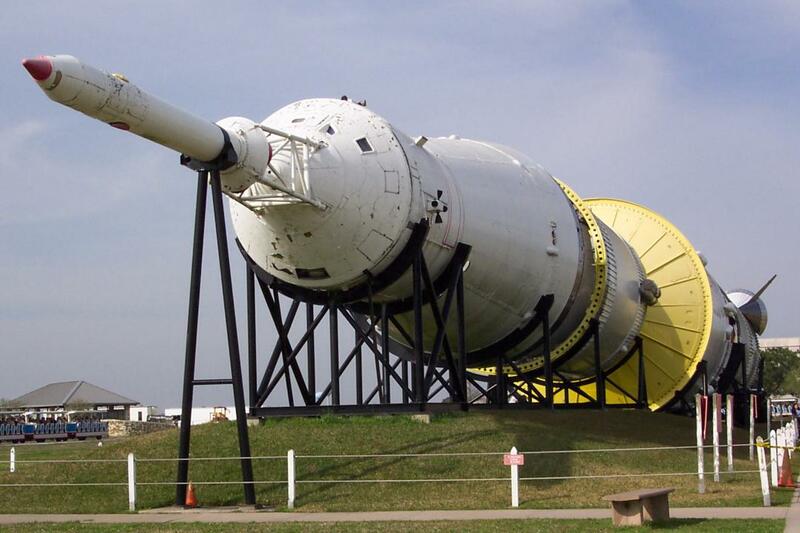 Part of my childhood was spent in Houston in the days before Johnson Space Center got all Disneyfied and started charging admission, so we used to spend a lot of time there. One of my birthdays (I forget which one) was celebrated in the shadow of the Saturn 5 rocket they have on display. I quickly abandoned my astronaut aspirations because I was pretty sure they wouldn't send an asthmatic to space and I wasn't keen on having to do all that math. 22) When I was a boy, because I lived in Texas I had to play football. For some reason, my team always ended up playing against the biggest, meanest kids that Houston had to offer (and Houston has a lot of big, mean kids). As a result, I became quite adept at faking injury. 23) I tend to judge Italian restaurants by the quality of their fettuccini alfredo. A surprising number of "good" restaurants fail miserably by this standard. 24) I once read a book that has since served as the foundation for both my understanding of how a relationship should work and my desire to be a writer. I do not remember the title of this book, nor its author. It's possible I made this book up in my head, which would be pretty nice, because then I could write it. 25) If I could go back in time and meet my younger self, I would punch me in the face. I am sure most of my friends and ex-girlfriends wish very sincerely that I could do this. They probably also wish they could come along.